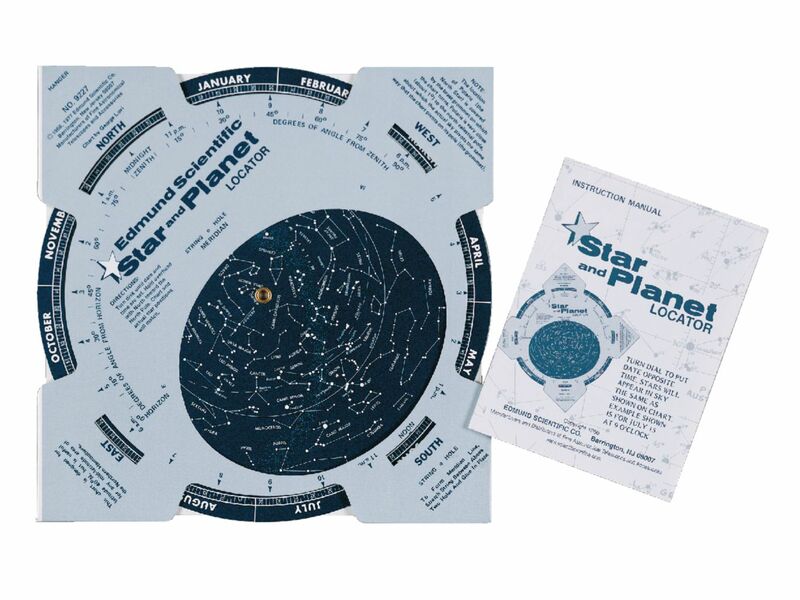 This inexpensive star and planet locator allows you and your students to pinpoint the positions of more than 500 stars, constellations, and planets relative to the horizon for the exact hour and date you set. Quick and easy to use, the chart measures 21 cm x 21 cm inches and was designed by astronomer and cartographer George Lovi. The reverse side of the locator is packed with information on planets, magnitude, meteors and more. Includes a pocket-sized 16-page illustrated instruction manual.